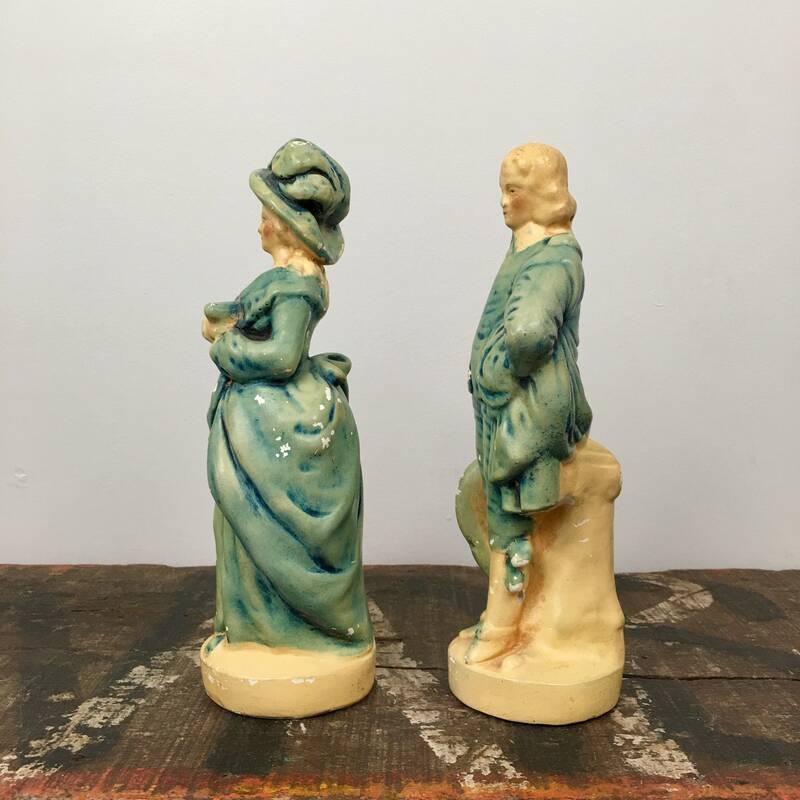 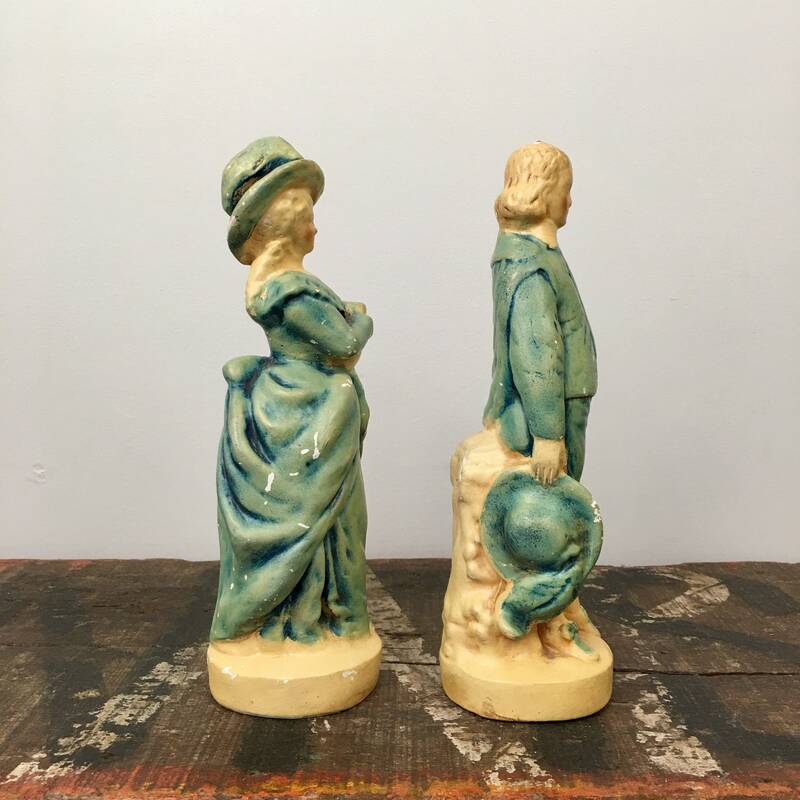 Vintage pair of chalkware statues - fancy lady and a dandy holding his hat. 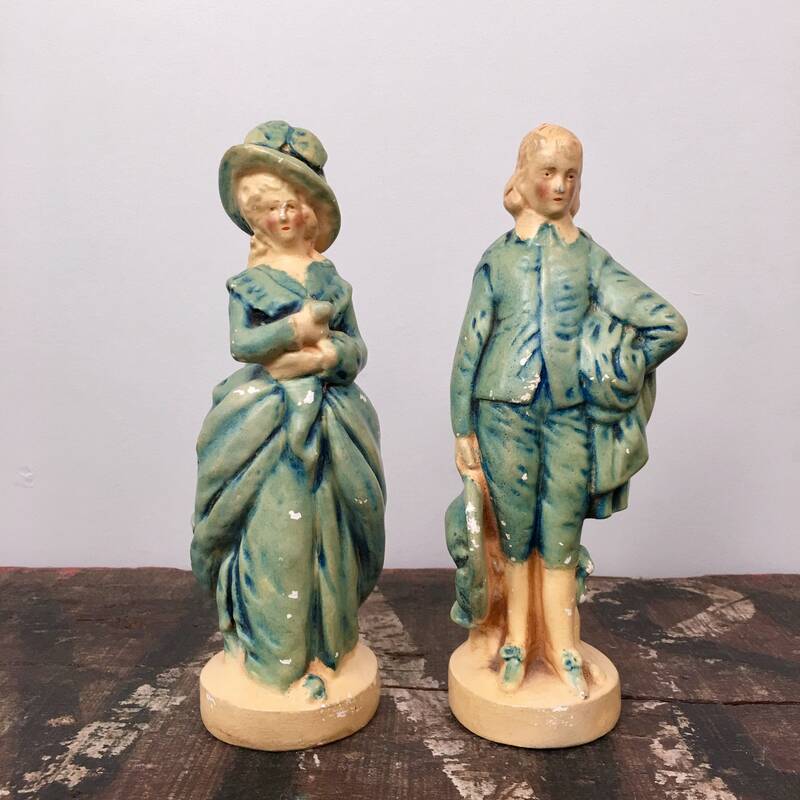 The term Chalkware is used to refer to figurines and other articles made of sculpted gypsum or plaster of Paris and painted with water colors and oil. 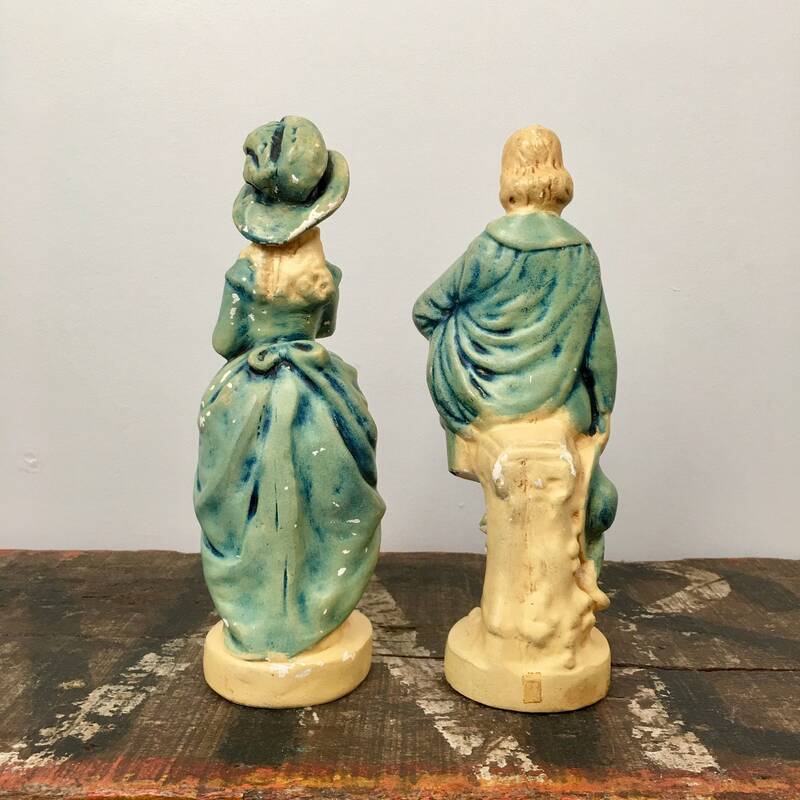 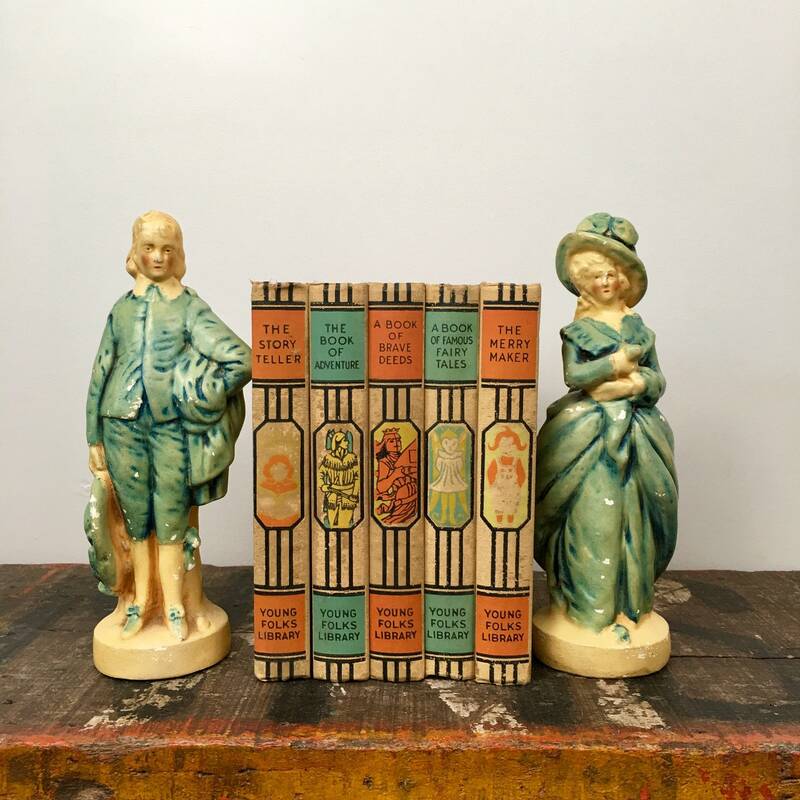 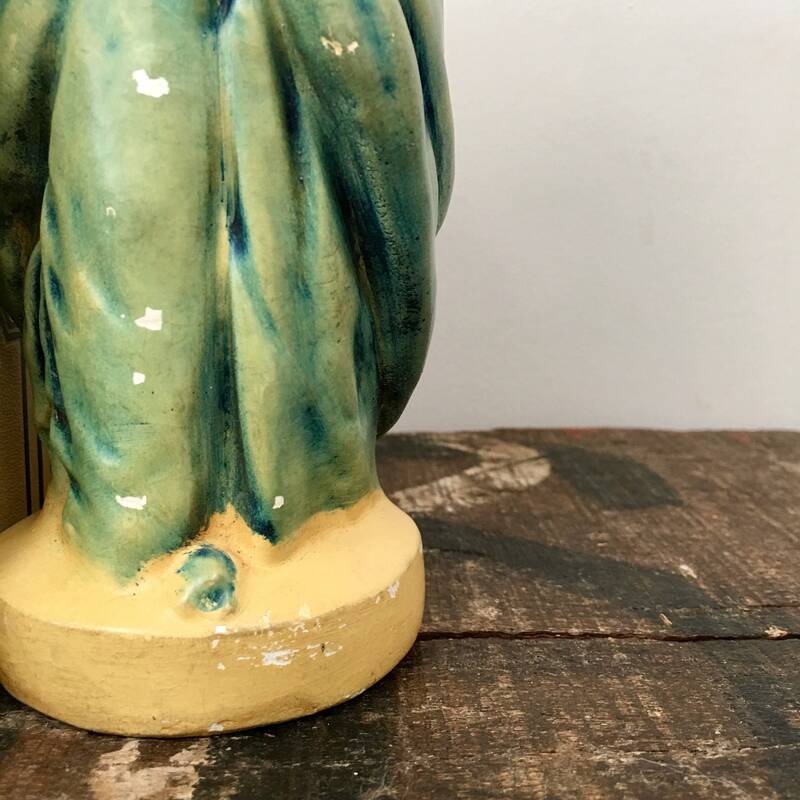 These guys are chipped and crackly in all of the right places, complete with a broken off nose :) This piece will fit in nicely with your Parisian style and would make a pair of unexpected bookends. 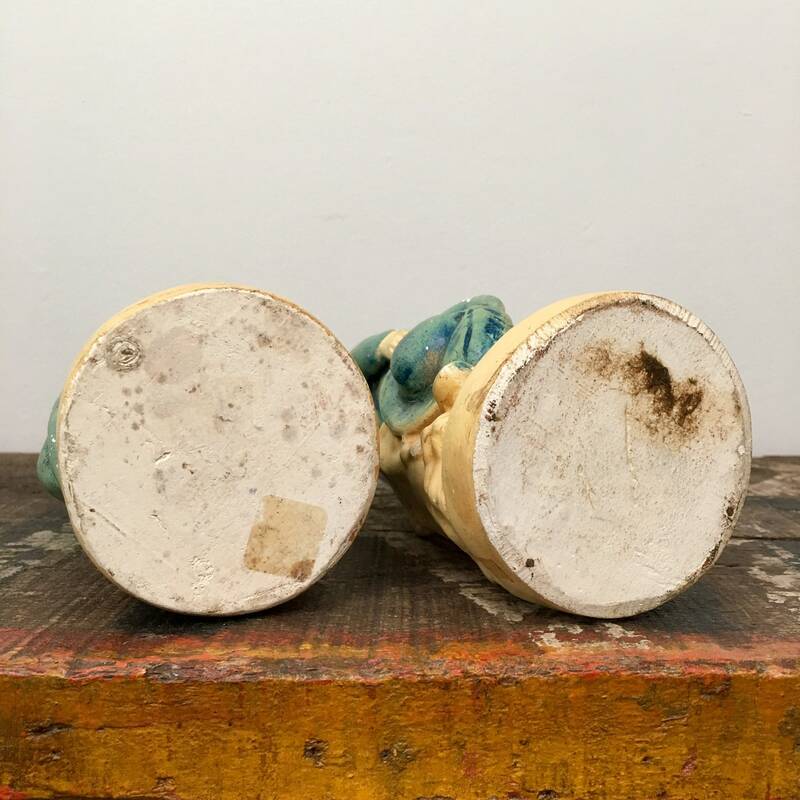 + Combined weight is 3 lb, 3 oz.